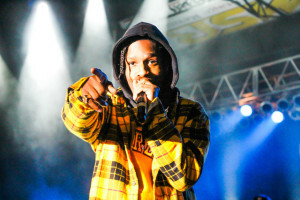 With A$AP pushing up the release by a week, his highly anticipated At.Long.Last.A$AP. was set loose on the public late Monday night. 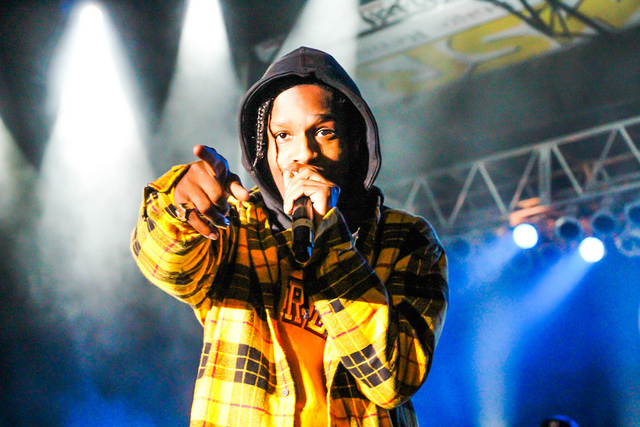 Stylistically, it’s different than A$AP’s previous efforts. While very much a hip hop album,”Canal St.” “Electric Body” and “Wavybone” (feat. Juicy J and UGK!) all evidence that, it also drifts into different territories. The spectacular “L$D” creates a Lana Del Rey-like aesthetic that draws listeners in, while the Rod Stewart sampling, Miguel featuring “Everyday” mixes wavy soul singing with hip hop. It’s all very ambitious, but it can also create a difficult listen. An 18-song, hour-long album can be tough to digest, and the mid-tempo stylings can make this album drag, but repeated listens show an artist ready to expand his sound. In other rappers releasing hour-long albums, (Lil) Boosie (BadAzz) also released his album Touch Down 2 Cause Hell this week. We’re years past the #FreeBoosie movement and it’s pretty clear that he’s no savior of hip hop and probably won’t see much mainstream success, but that’s absolutely fine. He still gets high billing in the South, playing in arenas, and will forever remain a Hall of Famer on the mixtape circuit. As for the album, it’s about what’s expected: Southern trap beats, Webbie features and a slew of southern all-stars (T.I., Jeezy, and Rick Ross all make appearances). It’s not a bad album by any stretch, but I’m not sure how memorable it will be. The good thing about being a political band is that you’ll never run out of subject matter. Anti-Flag has been a band now for decades now, but still remain devoted to their message. American Spring is political sure, and sounds like every other Anti-Flag album, but we still need bands singing songs like “Fabled World” and “Song for Your Enemy.” I have no idea what an Anti-Flag crowd looks like these days, but it doesn’t matter, the crowd is anyone willing to listen. The band always makes listeners think about their music, and that’s never a bad thing.